It’s imperative to call before coming in so that a staff member can advise you on your particular emergency. 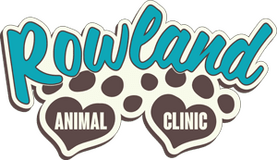 As we are a veterinary clinic, there are times when Dr Rowland will advise you to take your pet to an emergency facility or veterinary hospital. If you are seen by an emergency facility, please have the records faxed to us at 815-729-0273 or have copies made of the records and call us as soon as possible to set up a follow up appointment. Please bring all records to the appointment to avoid the need to repeat diagnostic testing. Emergencies can be things such as accidental ingestion of rat poison, hit by car, and chocolate ingestion. If you ever feel that your pet needs emergency treatment do not hesitate to seek emergency care for your pet immediately. We are also available for urgent care when the condition is not life- threatening. If you feel your pet needs to be seen before you are able to get an appointment, our veterinary receptionists will work to "squeeze" you in between scheduled appointments. When you arrive, our receptionists will be able to give you an estimate on how long you may have to wait in order to be seen.